Min Zhou is Associate Professor of Sociology at the University of Victoria. He received his PhD and Master’s degrees from Harvard University in the United States. Before coming to North America, he had his college education at Peking University in China. This global living experience informs his sociological research. He takes a unique perspective when analyzing global market networks, global norms and East Asia relations — research areas traditionally seen as belonging to economics, political science or international relations. He has published articles in Canadian Review of Sociology, Social Forces, Social Science Research, International Sociology, the Sociological Quarterly, Rationality and Society, and Sociological Forum. 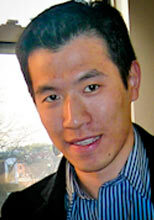 Min Zhou’s research interests fall under the rubric of globalization and transnational sociology. Currently he is working on three projects that cover distinct aspects of global change. First, he examines the efficacy of regional trade agreements (RTAs) in promoting global market expansion. Most RTAs are driven by economic neoliberalism (“negative integration”), and not all RTAs deliberately establish institutions that support new markets (“positive integration”). This research empirically tests the sociological insight that creating necessary institutions is essential for market expansion. Second, his research digs into why governments support global institutions that fight for global norms, such as human rights and environmental protection, despite obvious conflict between these norms and state sovereignty. Third, his recent SSHRC-funded project studies the involvement of grassroots organizations in the Anti-Japanese Movement in China. The relationship between China and Japan has been turbulent recently. Anti-Japanese mass demonstrations erupt in China periodically. This research investigates how the protests were mobilized swiftly and what mobilization strategies were employed. This project will not only contribute to our understanding of the multilayered quality of Sino-Japanese relations and China’s changing social fabric, but will also offer insights into new forms of social movements in the context of globalization. In this video, Min discusses his research on global economics and how ordinary citizens help shape government policy. Zhou, Min and Hanning Wang. Forthcoming. "Participation in Anti-Japanese Demonstrations in China: Evidence from a Survey on Three Elite Universities in Beijing." Journal of East Asian Studies. Zhou, Min and Hanning Wang. Forthcoming. "Anti-Japanese Sentiment among Chinese University Students: The Influence of Nationalist Propoganda." Journal of Current Chinese Affairs. Zhou, Min. Forthcoming. "Environmental Skepticism and Its Impact on Environmental Behaviour in Canada." International Journal of Canadian Studies. Zhou, Min. 2016. "Social and Individual Sources of Self-Identification as Global Citizens: Evidence from the Interactive Multilevel Model." Sociological Perspectives 59(1): 153-176. Zhou, Min, Gang Wu, and Helian Xu. 2016. "Structure and Formation of Top Networks in International Trade, 2001-2010." Social Networks 44: 9-21. Zhou, Min. 2015. "Global Distribution of Transnational Human Rights NGOs: The Effects of Domestic Resources and Institutions." ﻿Sociological Inquiry﻿. 85(4): 576-599. Zhou, Min. 2015. "The Efficacy of Regional Trade Agreements, 1958-2006: The Effect of Institution Creation on Market Expansion." ﻿Sociological Forum﻿ 30(3): 721-742. Zhou, Min. 2014. "Signaling Commitments, Making Concessions: Democratization and State Ratification of International Human Rights Treaties, 1966-2006." Rationality and Society 26(4): 475-508. Zhou, Min. 2013. "Public Environmental Concern in Canada: A Multidimensional Analysis." Canadian Review of Sociology 50(4): 453-481. Zhou, Min. 2012. “An Alternative Explanation for Anti-Japanese Sentiment in China: Shifting State-Society Interaction in China’s Japan Policy.” Journal of Contemporary Eastern Asia 11(2): 61-75. Beckfield, Jason and Min Zhou. 2012. “Embedded Regionalism.” Pp. 81-93 in New Visions for Market Governance: Crisis and Renewal, edited by Kate Macdonald, Shelley Marshall and Sanjay Pinto. Routledge.